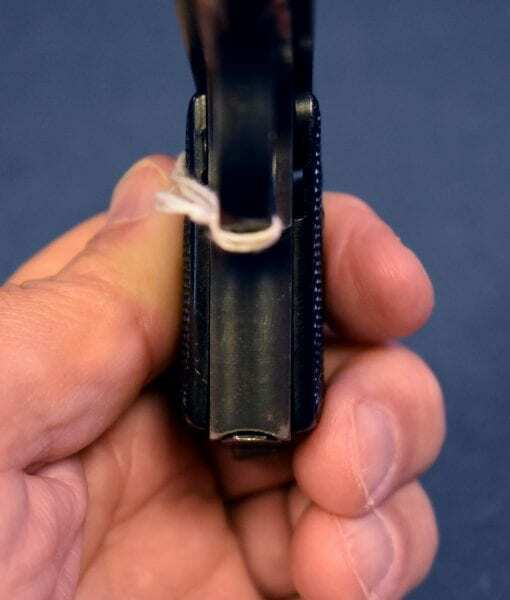 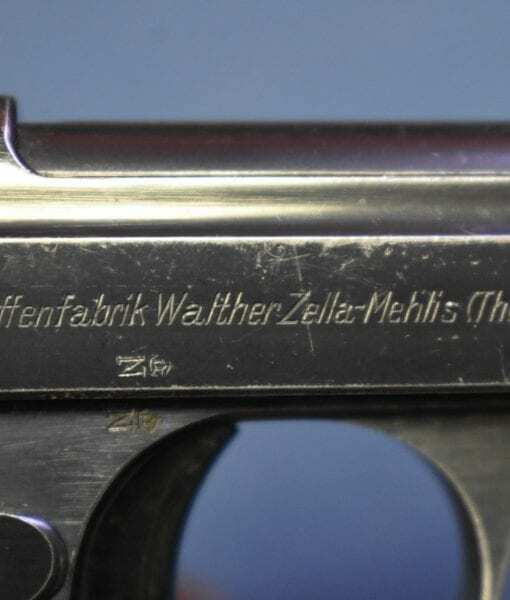 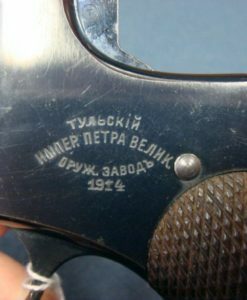 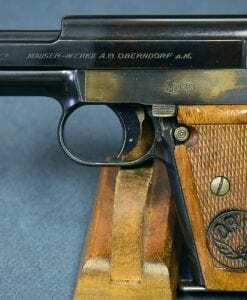 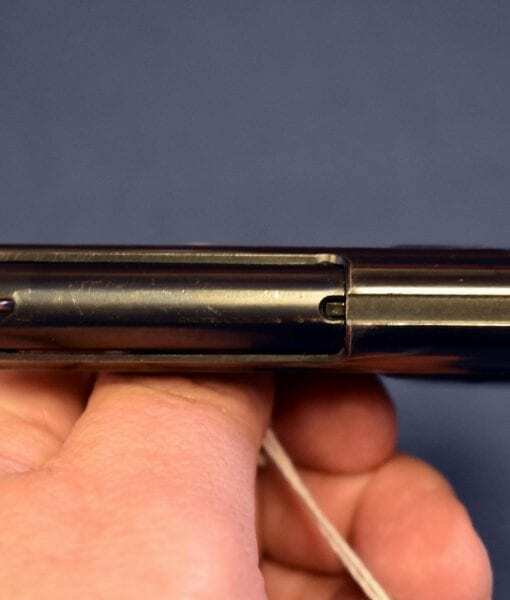 WALTHER MODEL 9 PISTOL…..TYPE 2 VARIANT……..VERY NICE! 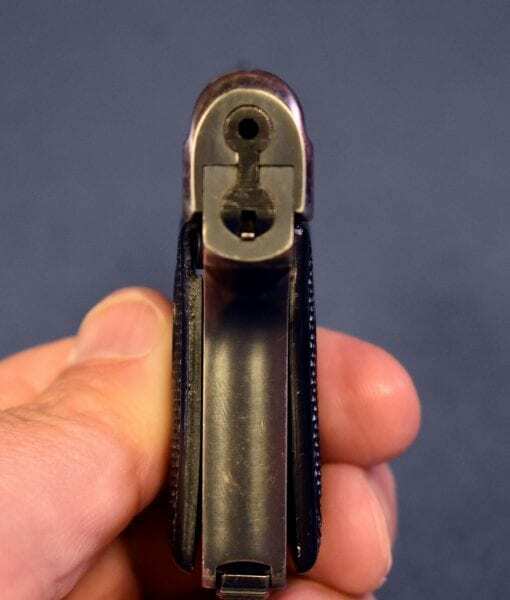 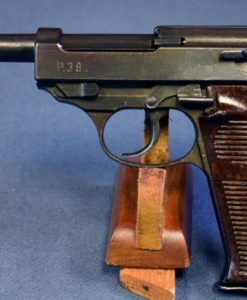 In at least 96% condition, we have a 1935 production Walther model 9 vest pocket size pistol in 6.35mm. 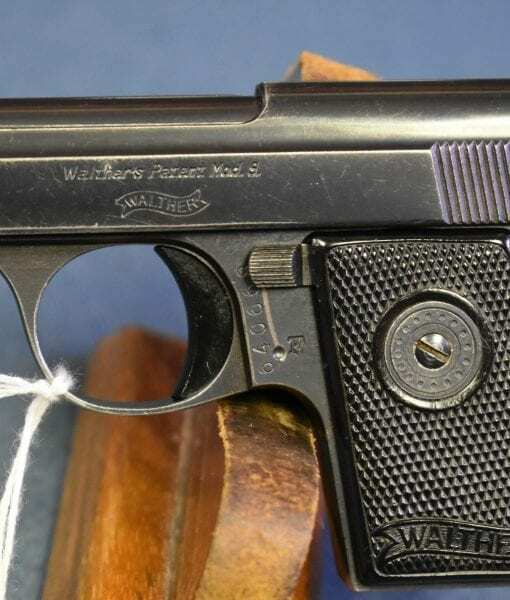 The Walther Model 9 is the smallest commercially produced .25 caliber pistol and it is a bit smaller than the Baby Browning. 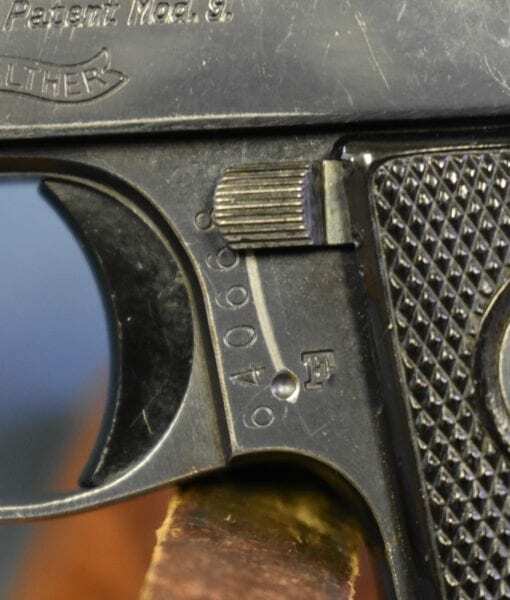 If you were a senior officer and you had a hundred guards to protect you then this was often the choice as a fig leaf of protection and perhaps to blow your brains out in case of imminent capture. 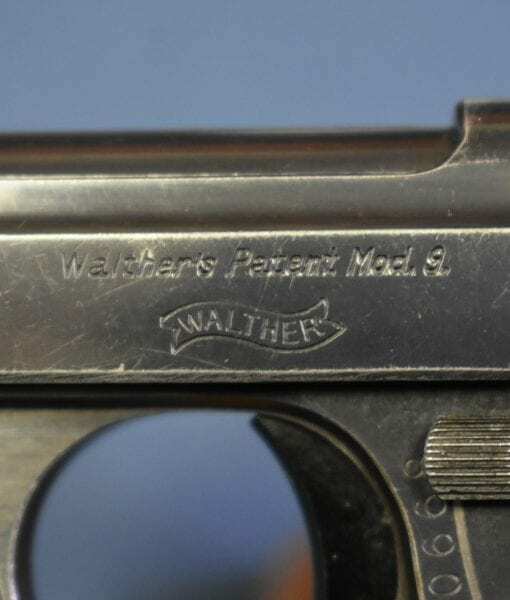 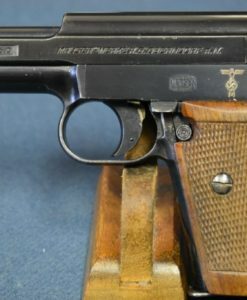 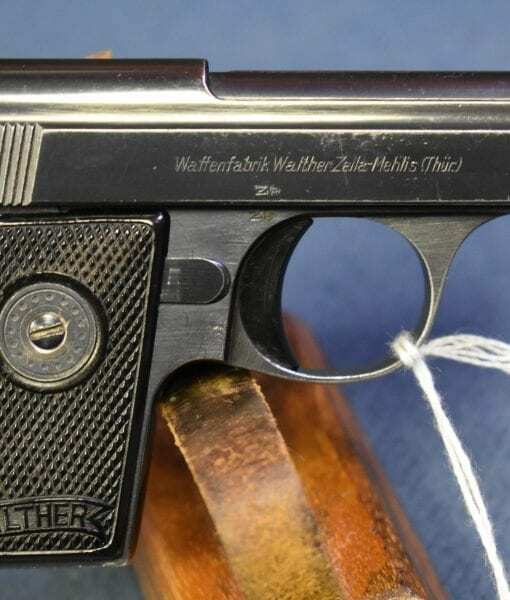 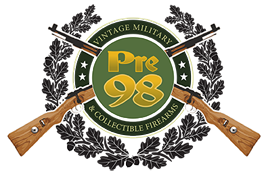 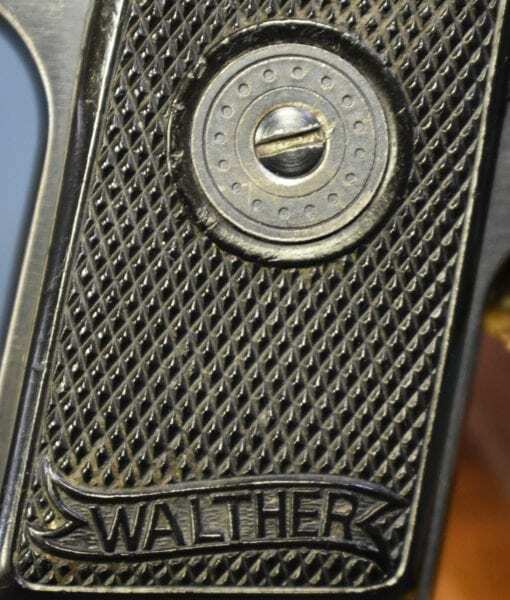 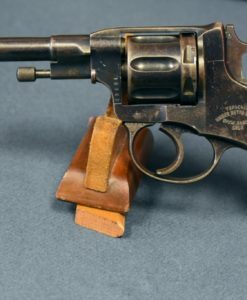 One of the more popular Walther pistols to collect, a shoebox would hold an arsenal.